Adam Riess. – Or how to contracept new physics. Ten years ago Adam Riess analysed Type Ia supernovae and came to the conclusion the universe is expanding at an increasing rate. – For this work he won in 2011 together with Saul Perlmutter the Nobel Prize in physics. Measurements and improved Hubble data suggest the universe is expanding even faster than previously thought. The JHU press release provides no other discoveries. But what sheds light on this kind of research is actually not the result itself but the approach. Revealing are the premises the research supposes and its conclusions. 1. Expansion as something "not very dynamic"? The standard model tries to convey the false impression the Hubble parameter is about something "not very dynamic". Physicists wiffle-waffle on "early cosmic inflation" where expansion must have been faster than light. These physicists are incapable to realise the expansion goes today a billion times faster than light. 2. Expansion as "momentum of matter"? In the second part of the article Adam Riess tries to obfuscate the inconsistencies of the standard model of cosmology. Riess calls it "fine-tuning the model" when he drags over all the meaningless dark catchphrases "dark energy", "dark radiation", "dark matter". 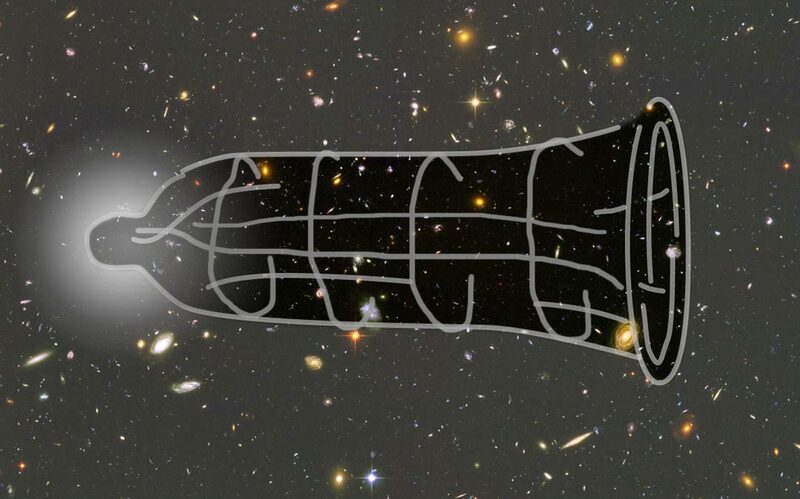 shoving galaxies away from each other with growing strength. Riess is not an idiot. He knows it is nonsense to accelerate the mass of trillions of galaxies to a speed billion times faster than light – by means of energy, of strength. Not to mention the fact that acceleration can't lead to a speed faster than light, the sheer amount of energy needed would be absurd. – But physicists still blather about energy, acceleration, momentum, pressure, particles. Scaling of space (so called expansion) is not about (dark) energy and not at all about "momentum of matter". (Already in the Nobel Prize speech in 2011 this term was ridiculous.) Scaling of space doesn't need energy to go on just as time doesn't need energy to go on. It is the nature of spacetime itself. But Adam Riess is contracted by the Johns Hopkins University to repeat the same prevarications again and again. – Just to hide the forbidden truth: Einstein's standard model of cosmology was wrong from the beginning. There is no gravity of the universe. 3. Expansion. – Measured inside the Milky Way? The third part of the article by the Space Telescope Science Institute makes Cepheid variable stars inside the Milky Way a subject of discussion. The movie about the universe that is embedded in the article suggests the measurement of expansion starts inside the Milky Way. That's wrong (albeit some characteristics measured inside the Milky Way can be used to gauge extragalactic Cepheids). – It can be assumed that the confusion in the article is intended (to make an issue of a technical routine). To rectify it: There are no implications of the expansion of the universe (of spacetime) inside the Milky Way and there is nothing to measure with Cepheid variables inside the Milky Way in this regard (there is no expansion-related redshift inside the Milky Way). The principle is this: Expansion of the universe can logically only exist when not everything expands (scales). – When everything would scale (let's say Milky Way, atoms, wavelengths) nothing scales. It's relative. Admittedly it is an admirable engineering achievement by the Adam Riess team to measure a star's position a thousand times and to measure displacements of stars due to parallax. But it is Milky Way measurement. It does not measure cosmological expansion of the universe. The term distance ladder has a solely extragalactic meaning and is improper used here. 4. Article's headline "Evidence for new physics in the universe"? The headline is a downright lie. The intention of Riess and his side of physicists is anything but to enthrone new physics. "The universe itself can't be an object of gravity within itself. To apply the field equations to the universe as a whole is logically nonsense." There is no gravity of the universe. – A real question for the Riess team and the upcoming, precise measurements could be: At what distance from galaxies (from filaments) the scaling of space sets in? – Real questions instead of pleasing the dark side, the Einstein clan who holds the reins of power in US science policy. The paper arxiv.org/../1801.01120 (PDF) describes parallax measurements (from opposite positions of the earth/sun orbit) of Milky Way Cepheids. The comparison of magnitudes of these Milky Way Cepheids (distance from earth is known) and magnitudes of extragalactic Cepheids gives back their real distance from earth. (To be honest, personally I didn't understand how.) – Provided the upcoming ESA Gaia mission (Data Release 2) is strong enough to detect these Cepheid stars in distant galaxies. The paper arxiv.org/../1801.02711 (PDF) describes the Period-Luminosity Relation (PLR) of special variable stars. Briefly worded, to measure the period of such a variable means knowing its luminosity - and that means knowing its real distance from earth. – Provided the upcoming James Webb Space Telescope is strong enough to detect these variable stars in distant galaxies. The assumption the existence of galaxies and of space ends just there where the observability ends (particle horizon) is odd. It is Middle Ages. There are always self-appointed visionaries who preach to us beyond the known horizon ends the world. My paper Einstein's Bubble Universe of 2015 lists the main points for the thesis 'There is no gravity of the universe'. In 2016/2017 I analysed Where fake physics come from.